2015 was a great year and 2016 is in line to be even better. Quantum President Ed Reynolds discusses his view on where Quantum is today and where we're headed, and his commitment to provide the highest-performing products in sailing and the highest standard of service. At Quantum, we're connected to sailors everywhere by our love of sailing and our belief that facing a challenge head-on is infinitely rewarding. As the youngest of the big sailmakers, we know what it means to challenge convention, navigate obstacles and find better ways to serve the sailing community. Drive and perseverance have driven us to the number two position in the industry; a place we’ll never take for granted. It’s hard to believe 2015 is already over, but it was a great year. 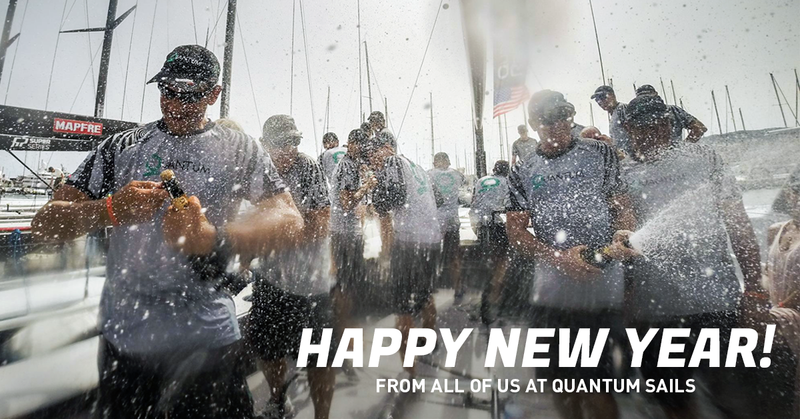 Since the beginning of Quantum, we have focused on providing the highest-performing products in sailing. Today, we're equally relentless about delivering a higher standard of service, customer care, education and mentorship. Everything we do is focused on a single, critical deliverable: helping you meet your sailing challenges. We spent 2015 taking a deeper look at how we can better deliver on this promise and I think you will enjoy what we have in store for 2016. This past fall we hosted the Quantum’s Ultimate Challenge contest and we were introduced to hundreds of sailors with passion and far-reaching goals. We look forward to partnering with the winners and sharing their stories over the coming months. We are also working this year to introduce expanded service and product offerings through our growing network of dealers and a new website which will launch soon. Our community outreach efforts will continue with regatta sponsorships, educational offerings, and events at local lofts. Product innovation and quality continue to be at the forefront of our operations. It is hard to adequately express my gratitude and admiration for your passion, loyalty, and patronage, which have made Quantum what it is today. I am very proud to be at the helm of this great company and to play a small role in helping you achieve your dreams. I look forward to a great 2016 and many more years to come!